Create unlimited free ringtones with the music on your iPhone®.? 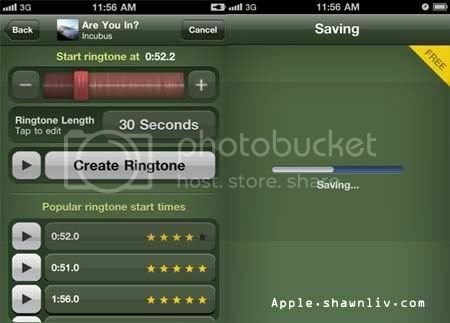 – Create unlimited ringtones, custom lengths… up to 40-seconds! Upgrade to PRO ($0.99) to remove advertisements. To make a ringtone: 1) Open the App. 2) Choose a song from your device’s iPod ‘Music’ Library. 3) Use the ‘slider control’ and ‘fine-tuning buttons’ to create the ringtone of your liking! — Instant previewing and unlimited, high-quality ringtone conversions are built-in. Completed ringtones are saved to your device and installed via ‘iTunes File Sharing’.